Corrective skin peels are a great way to improve the appearance of skin imperfections such as fine lines, wrinkles, hyper pigmentation and acne. A peel works by exfoliating and removing the outermost layer of the skin. Skin peeling offers many benefits including improved skin clarity, even skin tone, uniform colour and improved texture. Phase 1 – Prepare and stimulate: Daily use of cosmeceutical skincare products to prep the skin. Phase 3 – Maintain and enhance: Monthly maintenance program with recommended skincare products. The effect of your skin peel will vary depending on the strength of the peel. The deeper the peel, the more extensive your skin renewal. Each of our corrective skin peels are formulated in a revolutionary aloe vera based gel to simultaneously protect and soothe the skin. The week following a peel, your skin will be more sensitive than usual. Be sure to maintain your skin care plan, avoid excess sunlight and to wear sunscreen when outdoors. 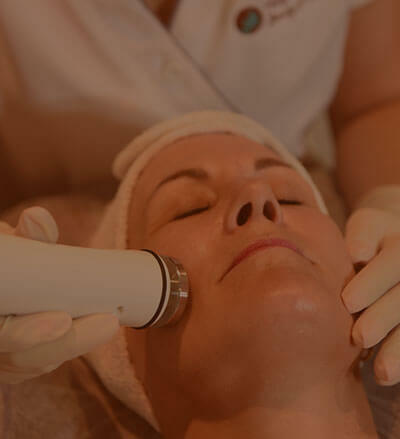 If you want to exfoliate and rejuvenate your skin, then contact Hope Island Beauty and Medispa today. We will provide you the perfect customised peel program just for you. To schedule a corrective skin peel, call us or book online. Our beauty therapists will help you achieve the skin you desire.